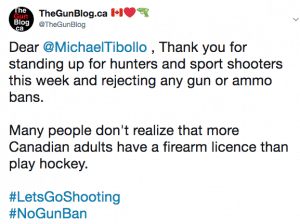 TheGunBlog.ca — Michael Tibollo, Ontario’s Minister of Community Safety and Correctional Services, backed hunters and sport shooters this week and reiterated Premier Doug Ford’s rejection of any gun or ammunition bans. Ford and Saskatchewan Premier Scott Moe have emerged as the strongest provincial opponents to the gun prohibitions being examined by the government of Prime Minister Justin Trudeau, even beyond those in Bill C-71. Police leaders have also refused the idea of seizing firearms from licensed owners. Toronto City Council voted in July to ask the federal government to ban all handguns and all semi-automatic rifles and shotguns from all federally licensed gun owners in Canada. Mayor John Tory asked target shooters to go somewhere else. 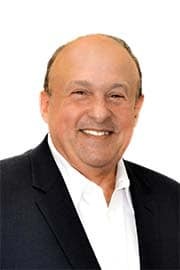 Tibollo was responding to Toronto Liberal MPP Mitzie Hunter’s Bill 30 to allow cities to ban the supply of handgun ammunition. Her proposed law, which was stopped at second reading, didn’t even exempt the military or police. If passed into law and adopted by municipalities, it would have disarmed lawful men and women while doing nothing to stop criminals who get guns and ammo unlawfully. “The Bill was voted down but we will not stop fighting,” Hunter said on Twitter on Oct. 4. My statement below regarding Bill 30, Fighting Back Against Handguns Act. All guns and ammunition are banned across Canada for anyone without a firearm Possession and Acquisition Licence authorized by the federal police. Getting a permit requires passing RCMP-designed safety courses and exams, and passing background and reference checks. About 2.2 million Canadian men and women have the permits, more than play hockey. Almost one-third of them live in Ontario. During question period earlier in the day, Hunter asked if the government supported handgun bans. “It’s not guns that kill people; it’s the people who have guns illegally that kill people,” Tibollo said as part of his response. Share a message of support on social media. For Minister Tibollo: Twitter: @MichaelTibollo and Facebook. Or retweet or “like” TheGunBlog.ca’s tweet. Contact your MPP or MLA to show how important this issue is to you. Just a sentence or two by e-mail. Option: Link this article, cc/bcc [email protected]. Subscribe to TheGunBlog.ca to get the latest news and resources.